Tatjana Soli paints a searing portrait of an American womans struggle and triumph in Vietnam, a stirring canvas contrasting the wrenching horror of war and the treacherous narcotic of obsession with the redemptive power of love. Readers will be transfixed by this stunning novel of passion, duty and ambition among the ruins of war. The information about The Lotus Eaters shown above was first featured in "The BookBrowse Review" - BookBrowse's online-magazine that keeps our members abreast of notable and high-profile books publishing in the coming weeks. In most cases, the reviews are necessarily limited to those that were available to us ahead of publication. If you are the publisher or author of this book and feel that the reviews shown do not properly reflect the range of media opinion now available, please send us a message with the mainstream media reviews that you would like to see added. Complex characters, a riveting portrayal of the atrocities of the Vietnam War, and glimpse into the live of the photojournalists tasked with covering the war had me transported completely throughout the duration of the novel. Soli is adept at fully shading the emotions of her characters so that you feel for them as they not only make decisions for themselves but endure heartbreak at the decisions of others. Helen is a stunning character and I was fascinated with her from her beginnings as a female photographer in the world of men through her progression to staying on in the dangerous last days of the war. Beautifully tod, I was able to see every last picture in my mind. I highly this novel. This book is well written. It is set in Vietnam during the Vietnam War about a woman photographer and the experiences she had covering the War. I was quite impressed with the description of the land where it be the jungle or Saigon. I was transported there, while reading. I read this hoping I would recognize places and buildings in VietNam that I have seen and I did. Tatjana Soli captured the cloying heat as well as the green countryside and villages. With three (for me) competing protagonists the story flowed easily between and among their lives. This is a rich description of a country torn by war while citizens remained stoic and willing to bear what was brought to them. I've been to VietNam 5 times and think this novel could be an opening for others who think they should go but haven't...to do just that. It offers the opportunity to learn of the customs and culture of the Vietnamese. The Author's notes and the General Bibliography should be invaluable to those wanting to read more about the area and the war written by various authors. I have hesitated for over a week to start my review. The reading experience has been so thought provoking I have been a little overwhelmed. From a personal experience, my husband and I lived in Panama during the middle of the war. (The U.S. Canal Zone in Panama was one of the strategic training areas for the Army Special Forces. ) Most of our friends were deployed while we were living there. I was in my early twenties and had no realistic idea what our young men really faced until I read the book. 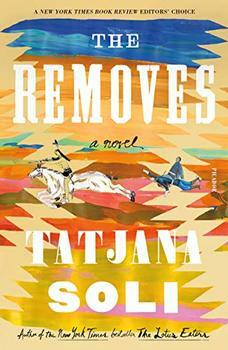 Tatjana Soli's depiction of war time Vietnam - the beauty of its people as well as the horrors of war is masterful. The character development is both complex and compelling. Her descriptions are beautiful. One feels as though one is walking beside Helen Adams whether she is traveling along the crowded streets of Saigon or through the smoldering heat of the war zone. I highly recommend The Lotus Eaters. Soli's balance of violence, beauty and love yields a riveting novel that is hard to put down from the very beginning to the very end. These modern-day Lotus Eaters are hypnotized by desire -- for one more ultimate war photo, one more magazine cover, one more Pulitzer. A tough and touching, magically written, and well researched novel of the Vietnam war years as seen through the eyes of Helen Adams and her fellow photojournalists. The characters beautifully drawn. A must-read -- twice! Amazing captivating, I found myself immediately drawn into this compelling story of love and war. Page after page was quickly read and absorbed. The feeling of really being there in those bitter years of the Vietnam War was intense. The main characters, Helen Adams, Sam Darrow and Linh, were all well developed and very human. The plot holds you like a taut sting throughout the book and only releases you at the very end. An incredible read and one that I highly recommend.